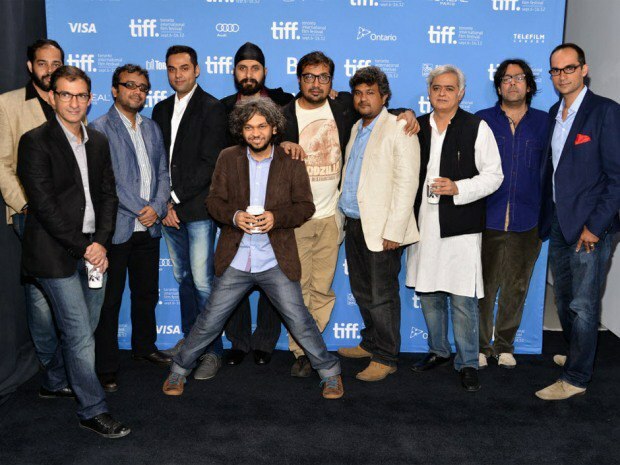 Toronto International Film Festival’s focus in this year’s ‘City To City’ program is Mumbai and its showing Manjeet Singh’s Mumbai Cha Raja (The King of Mumbai), Anand Gandhi’s Ship of Theseus, Mohit Takalkar’s The Bright Day, Hansal Mehta’s Shahid along with Anurag Kashyap’s two-parter Gangs of Wasseypur, Ashim Ahluwalia’s Miss Lovely, Habib Faisal’s Ishaqzaade, Dibakar Banerjee’s Shanghai and Vasan Bala’s Peddlers. 16:50 onward – On reviews. Waah, Vasan! 19:80 onward – Ha! Good try, Mr Habib Faisal to defend the regressive Ishaqzaade. 39:15 – Balaji took bits and pieces from Miss Lovely and made The Dirty Picture – Ashim Ahluwalia. 40:15 – If you send a script like this, i will file a criminal complaint with the police. Who is that strapping young man… LOL JK who do you think you’re fooling Habib Faisal? Please somebody tell Anurag Kashyap nowhere in the “constituion of India” cinema is mentioned has “healthy entertainment”. I read him claiming this somewhere else as well. CBFC’s broad guideline is Article 19 of the Indian constitution. And dear Mugdha Godse, thanks for reinforcing the stereotype that the models are dumb. What an idiot,lol. I clearly remember Habib Faisal saying “Why the hell India sees movie in 2 parts? !” And now he’s explaining the 2 part structure of films to firangis! Sahi hai! 30:19 to 30:44. What crap, Hansal Mehta! Compulsions of putting songs and making actors look like buffoon? Gobind Nihalani didn’t do that neither did Kundan Shah when he made ‘Jaane Bhi Do Yaaron’. Our top directors! More power to them! “Some have argued that the film is regressive. The problem with Ishaqzaade is not so much that it is regressive; it is that it dares to promise something more – to give us a heroine who is powerful and who goes after what she wants with no concessions – and then snatches it back by reverting to typical filmi form. Love makes Zoya vulnerable, and it’s that vulnerability that Parma exploits, to great effect in the film. But it also dilutes her strength, her passion, and her power as a character. The film does redeem itself somewhat in the end, thankfully, when Zoya makes a decision that allows her to take control over this misogynistic cycle of violence and repression she finds herself caught up in. But the one option that is left open to her to retain that control, over how she will live, and how she will die, well, that one option just left me absolutely heartbroken. And perhaps, in the end, that was Habib Faisal’s intention all along” – Katherine Mathews, Bolly Spice. India’s so-called film critics (so-called because none of our film critics have any knowledge of filmmaking or the language of cinema) watch films on a superficial level and have knee-jerk reactions. Like sheep they follow each others’ reviews and parrot each others’ views. Ishaqzaade has been misread and misjudged and only a few intelligent reviewers have managed to correctly interpret the nuances of the film. Regular film goers have loved the film and a look at the tweets about the film reveals that average filmgoers have watched the film more than once and have completely identified with the very real characters.